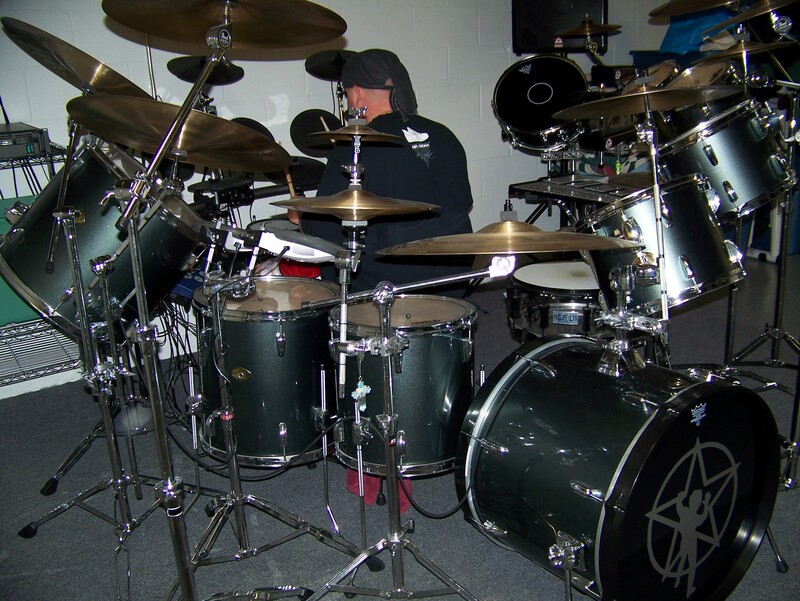 When I read James' story about how Neil Peart influenced his drumming and drum set up, I found myself smiling. He could have been writing my story, especially the part about adding roto-toms and "being in heaven." (For me it was also adding that trashy Wuhan China cymbal.) I'm sure that most drummers who are fans of NEP have had their own moments like this. Well, I guess I should start by saying I have looked up to Neil since I was a little kid. Starting at age five or six, I was hitting pots, pans, and five gallon buckets with wooden spoons. I dreamed someday I would have a drum set of my own. 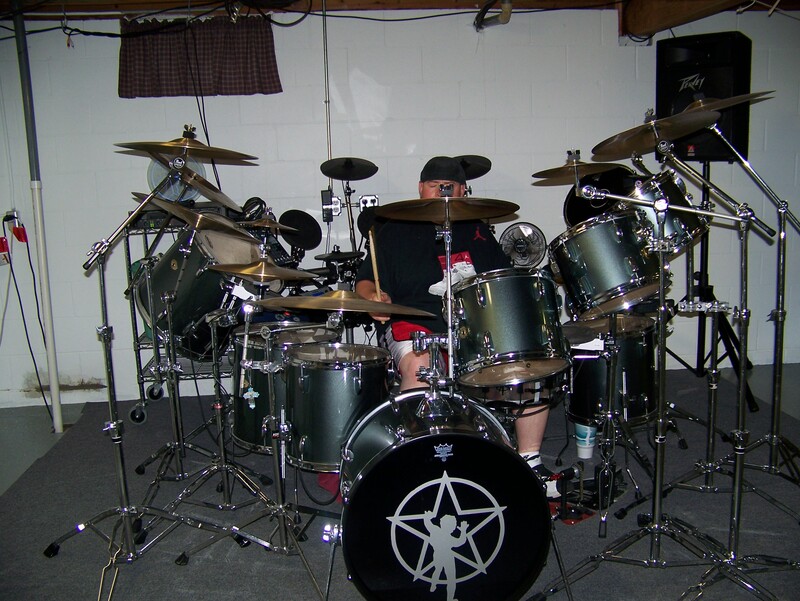 When I finally got my first five piece garage sale drum set, I saved up for a set of roto toms and I thought I had a Neil Peart set-up going. 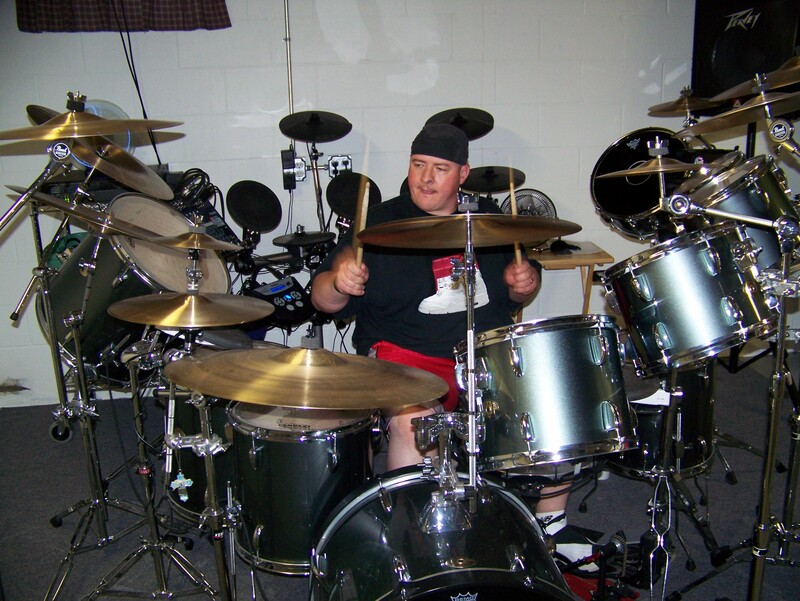 Then when I was in high school I got my first new drum set. It was a Tama Swingstar. 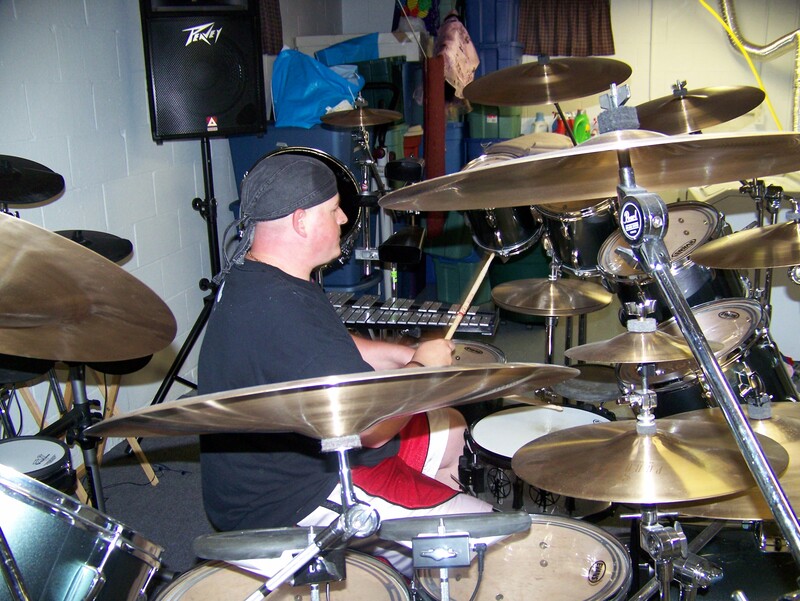 I saved the roto toms and the shabby cymbals and I was in heaven. Then as time went on, I kept adding on, and adding on. All the while the same theme remained...Neil Peart. My current set up is another Tama Swingstar. This time everything matches, even the cymbals. I even have electronic drums — what a riotous "toy" they are. What I am trying to say is my latest Neil Peart creation is not something I just started doing because I like Rush. It is something I have done since I was five, before I knew much about music. All I knew is that I loved Neil's drumming, and being a little kid, I copied those I looked up to. Now that I am 34, I have never strayed from that. 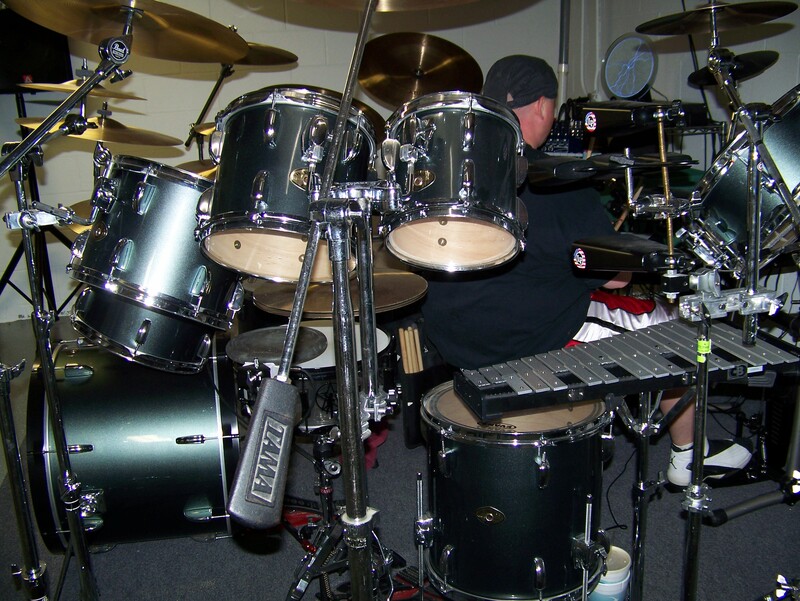 After watching Neil's Instructional video "A Work In Progress," I listened to what he had to say about his approach to the drums and drumming. When I first saw the way he set up the drums in this video, my first thought was "I can't play with the drums arranged like that." Then my next thought was "can't.......can't......fooey". You guessed it. My drums were torn down and reconstructed again. This is the latest creation. Sizes: 8,10,12,13,14(2), 16,18 (suspended), 22" bass drum with Rush Star Man graphic on front head. SNARE DRUMS: Main snare drum is a 14" Pork Pie clear acrylic (customized with Rush Star Man logo graphics). Auxiliary snare drum is a Tama Swingstar 14" with a Remo Kevlar marching head. Soon to be replaced with a Pearl 13" piccolo (I hope). Various pads distributed throughout front kit. 2 FatKat trigger pedals, one on front kit and one on back kit. HARDWARE: Tama, DW, Pearl, Gibraltar, Roland. Wherever it works best. HEADS: Evans Clear on toms, Evans Coated Genera on main snare, Remo Ebony Kevlar on auxiliary snare.